When it comes to drums, the Mapex brand is well known for its quality, style and great sound. In fact, drummers the world over swear by it and the drum selection here is to die for. The snare drums, drum kits and the hardware are very attractive and not only do they look cool but they also sound excellent. Mapex has been doing this for almost 3 decades and their experience and attention to detail is what separates them from the other brands. The Black Panther, Mars and Meridian sets are some of Mapex’s most popular items for sale but none can beat their flagship line which is the Mapex Saturn line. The latest Mapex Saturn V MH series is an improved version that is beautiful with the sleek finishes and an innovative tom mount isolation feature. 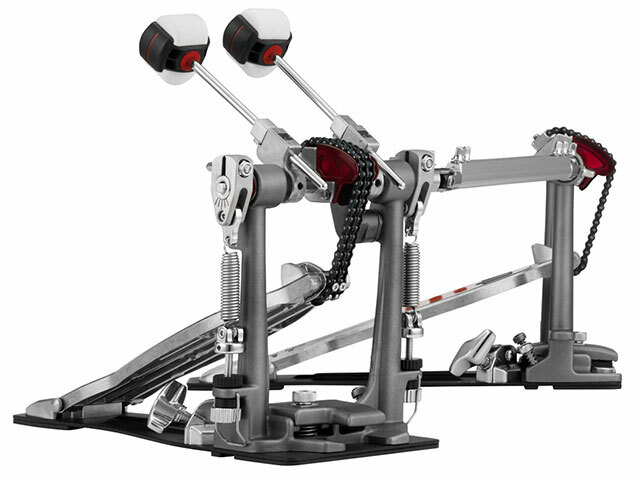 The pricing is affordable and that makes this one of the best value for money investments any drummer could make. Mapex has also created a new bearing edge that greatly improves the interplay between the shell and the head so that the response from the drum is optimized and just a pleasure to play with. What impressed us the most were the toms which really sounded good. It didn’t matter how hard we hit the drums or how gentle we were… the notes and tones were just right. Adding to that, Remo Emperor clear and Remo P3 Batter is added as standard, not an huge but important thing for sure. 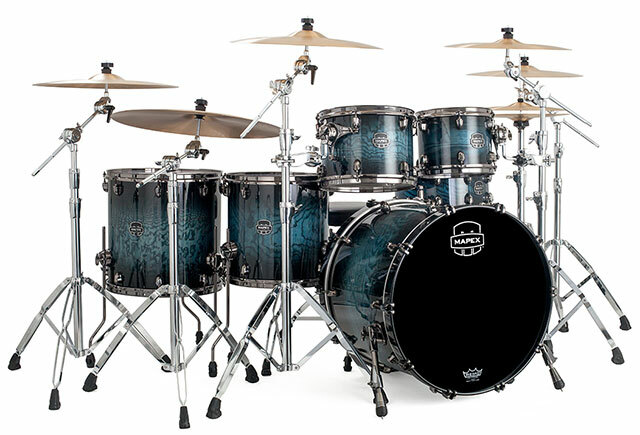 The Exotic models all come standard with black chrome hardware, while the Mapex Saturn V MH model features chrome hardware. Players will have a hard time deciding on their favorite finish. Neverltheless, The notes are sustained well and the walnut and maple hybrid shell definitely improves the drum tones. The Mapex Saturn V MH is a major improvement over the Saturn IV which while good, just doesn’t come close to this updated set. Mapex 6-ply North American walnut-maple hybrid shells (8-ply bass Drum). 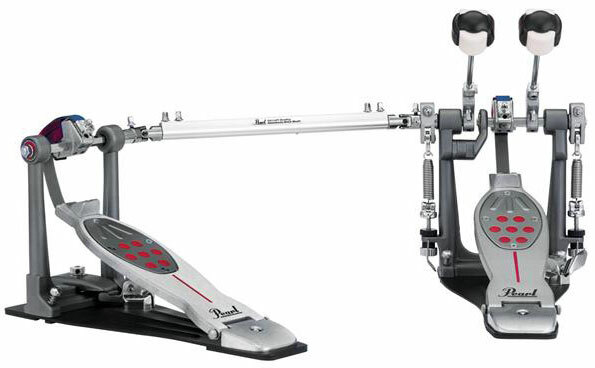 Free-floating bass drum mount (Optional). Memory Mark bass drum spurs. 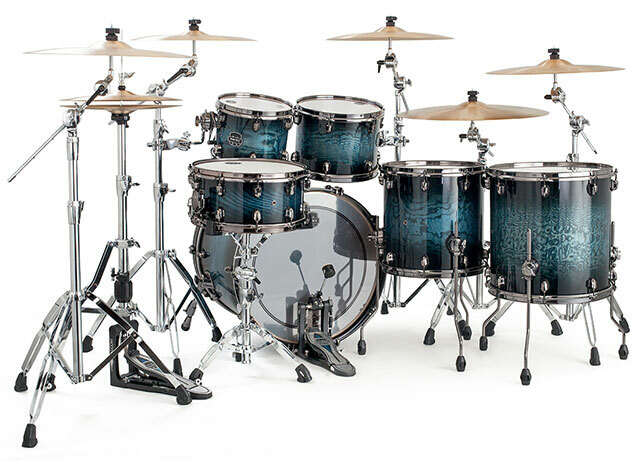 Available in 3 Mapex lacquered finishes and 2 awesome Delmar wraps. The shells are constructed with the classic maple and walnut hybrid that Mapex is famous for. This makes the drum set a very strong and sturdy one. Guests to your house or studio will definitely give the Mapex Saturn V MH a second look because its appearance turns heads all the time. If you wish to take things to the next level, you could spend an extra two or three hundred dollars for a cool marble burl finish, complete with black nickel settings. Well, To be honest, and most importantly I’m not paid to say this. I couldn’t believe how good it was till we tried it out. The Saturn V MH will be suitable for both the hobbyist and the professional alike. These are the drums that are perfect for commercial use, at home or in a studio setting. 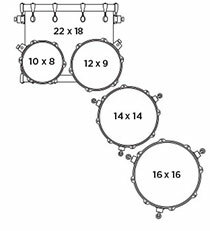 You get a variety of tom sizes and the 5-piece configuration gives you a lot of flexibility. The responsiveness is brilliant and the beats that you will create with this set will be outstanding. Priced at $1799, this is not only value for money but will last you a long time. It really has to be played to be believed. Do get it. You can thank us later. 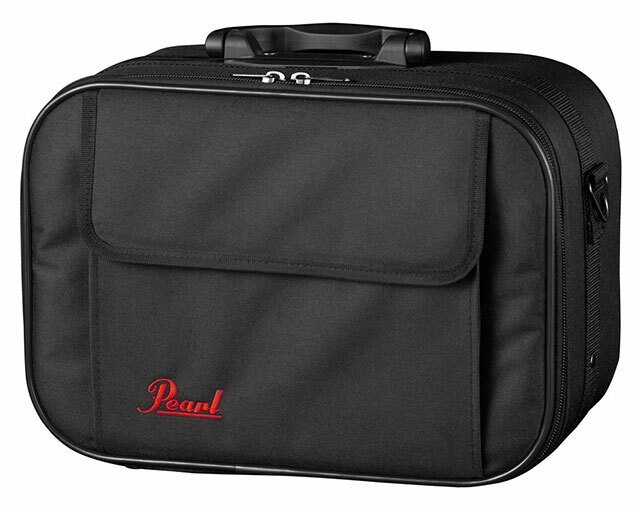 Notice: As with all Shell-packs, Snare, Hardware and Cymbals are not included but sold seperately.